Fantastic wall sculptures, panoramic view of the pretty town and the beach, carry your binoculars and camera for a better view! This cemetery built in Brac stone is one of the masterpieces by Craotian artist Ivan Mestrovic. Climb up the hill, you can hike or take the steps. There is also a family mausoleum belonging to Racic family- a prominent shipping family of Cavtat which is worth a visit. Built entirely in bronze, the interior depict the various stages of human life. Tips &Warnings: Carry water bottle and snacks, no eateries, cafeteria are available. The ticket price for the mausoleum is 1 Euros. 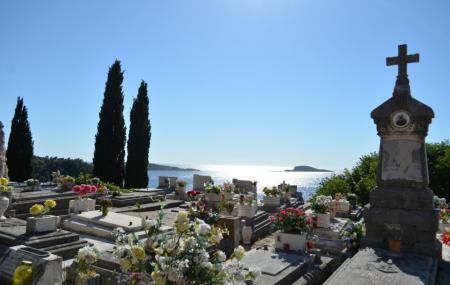 How popular is Cavtat Cemetery? People normally club together Cavtat Old Town and Boat Tours while planning their visit to Cavtat Cemetery.